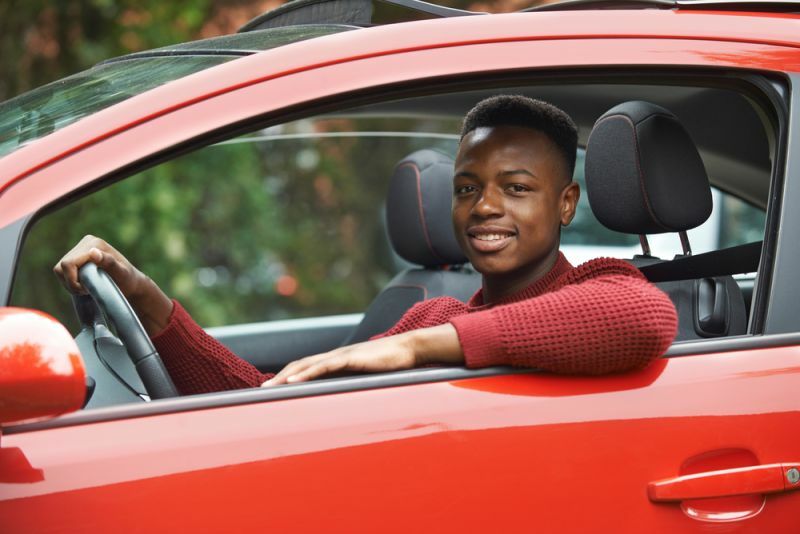 Having a teen driver often tests your nerves like no other, but providing your teen with the right vehicle can certainly ease the stress. To help search for the ideal auto, AxleGeeks created a list of the best cars for teen drivers. An authority on cars and car brands, AxleGeeks recently launched an app to provide users with the latest information on the go. To identify the best cars for teen drivers, we focused on fuel efficiency, safety and price. We compiled models earning more than 25 miles per gallon with a 5-star rating from the National Highway Traffic Safety Administration, and either Top Safety Pick or Top Safety Pick+ awards from the Insurance Institute for Highway Safety. Finally, we ranked them from most to least expensive. The 2016 Volkswagen Passat earned favorable marks for its 31 combined mpg, giving it a 3.3 percent advantage over other models in its segment. However, it clocks in at $22,440, making it more expensive than sedans offered by Mazda and Chevrolet. Subaru is the safest car brand available, making the Forester a smart choice for your teen. However, its combined 25 mpg is 2 percent lower than industry averages, and its cost of $22,395 renders it the most expensive SUV on the list. The 2016 Honda Accord achieved the highest safety ratings from the IIHS and the NHTSA, and boasts 28 combined mpg. Moreover, its price is 17 percent lower than other cars in its segment, making it an enticing choice to consider. Despite the 2016 Chrysler 200’s fuel efficiency, which falls slightly below par relative to its competitors, it boasts an affordable price when compared to the average cost of a 2016 midsize sedan. The 2016 Hyundai Sonata touts affordability and excellent efficiency: Its starting price of $21,750 is 19 percent less expensive than other midsize sedans, and its 31 combined mpg gives it an edge over competitors like the 2016 Chrysler 200. The 2016 Subaru Legacy earned top safety ratings, thanks in part to its all-wheel drive capabilities. Furthermore, its 30 combined mpg surpassed the averages set by midsize sedans in its segment. For a compact SUV, the 2016 Subaru Crosstrek is an excellent value, costing only $21,595, which makes it significantly less expensive than other models in its segment. Though its fuel efficiency falls below others listed, it easily beats its industry competitors, maximizing your savings. This sedan not only boasts the IIHS Top Safety Pick+ award and 30 combined mpg, but its low price of $21,495 makes it less expensive than many of its midsize sedan counterparts. Similar to the 2016 Mazda 6, the Volkswagen Golf earned the highest safety ratings, and its 30 combined mpg places it in line with others in its segment. However, the Volkswagen Golf does it all at a lower cost. This hatchback earned the best fuel efficiency among all models listed here, clocking in at 34 combined mpg. Additionally, its low price places it well below the average cost of a compact hatchback, providing you with excellent savings. The 2016 Subaru Impreza features excellent safety ratings and a great price, elevating it above the 2016 Volkswagen Golf. The only drawback is its fuel economy of 29 mpg, which puts it at a disadvantage when compared to more efficient sedans, like the Mazda 3. Like its hatchback counterpart, the 2016 Mazda 3 sedan boasts 34 combined mpg. Additionally, its price of $17,845 also gives it a significant edge over its competitors. The 2016 Volkswagen Jetta is among the most efficient models on the list, earning 33 combined mpg. In addition, it earned the IIHS Top Safety Pick+ award and is 16 percent less expensive than other models in its segment. The only compact wagon to earn a spot on the list, the 2016 Kia Soul maximizes safety and affordability. However, it falls behind in fuel efficiency relative to other compact wagons. The 2016 Chevrolet Sonic earned the best car for teens due to its outstanding affordability. With a starting price of $14,345, it is significantly less expensive than the average cost of subcompact sedans. Additionally, with great safety features and excellent fuel efficiency, the Sonic delivers incredible value.